Christopher worked for many years in leading commercial construction law practices acting for government, developers and contractors in the building, transport infrastructure and resources sectors. He has been involved in all forms of dispute resolution including litigation, arbitration and alternative dispute resolution in a range of jurisdictions in Australia. Christopher also has a number of years’ experience in contract drafting, risk analysis and providing general construction advice having been involved in a whole range of construction projects, from minor works to projects worth billions of dollars. Christopher holds a Masters of Laws, is a Law Society of NSW accredited specialist in commercial litigation and is a member of the National Editorial Panel of the Australian Construction Law Newsletter. He has published in a range of law journals and associated publications. In the last few years, he has brought his specialist construction industry knowledge to the strata sector and now only acts for owners corporations in a range of jurisdictions. Christopher has also developed a specialization in ACT strata law, acting for ACT owners corporations in a range of matters. He has provided training to most ACT strata managers and is the author of the Kerin Benson Lawyers Guide to ACT Strata Law which is intended to become the standard reference for strata law in the ACT. 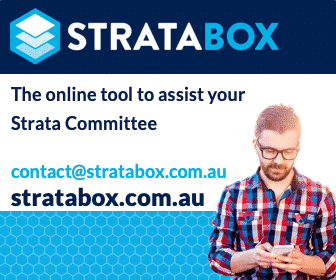 ACT: Q&A Can you install floorboards in strata units in older buildings in Canberra? ACT: Q&A Privacy Act: Can a Strata Manager Refuse to Provide Lot Owner Details to the Executive Committee? ACT: Q&A AGM Recording. Chair insists on verifying the recording. ACT: Q&A Rules Around How to Chair a General Meeting. Can this be done by an Independent person? ACT: Q&A Who pays for fence replacement? ACT: Q&A Commercial in Confidence: Why can’t I view the maintenance works contract?